Abstract: Nowadays, the self-traveling is extremely popular due to its convenience and the flexibility of choosing the destination. However, the increasing traffic jam and governmental policies encouraging green travel change people’s way of travel. An increasing number of people try to find a new and environmentally-friendly way to travel. Airwheel A3 is the best replacement of automobile. Airwheel self-balancing electric scooter A3 is the ideal vehicle to travel as the excursion. 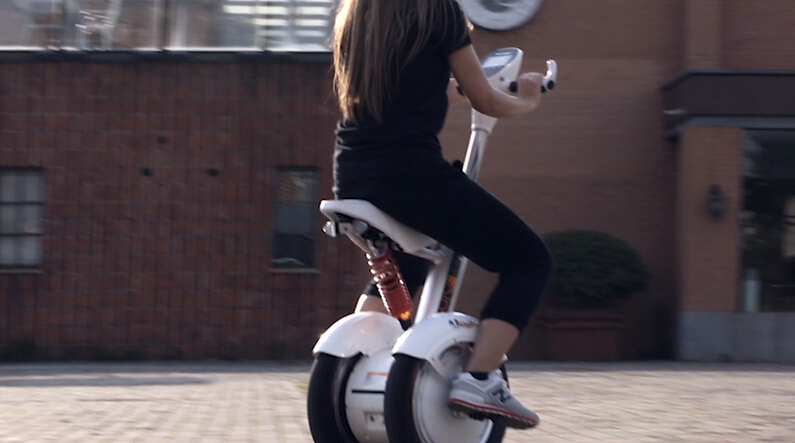 Unlike the traditional electric scooter, Airwheel A3 is equipped with saddle for users to sit on so the legs will be relaxed. This will make the users feel comfortable when traveling. The self-balancing electric scooter also uses the car steering wheel. Riders just need to turn the steering wheel to control the scooter and change directions rather than change the center of body weight which is the usual way to operate former electric scooters. As a result, riders can save more energy to go sightseeing or hiking and enjoy the beautiful natural scenery. Besides, the pedal of Airwheel A3 can be folding to save space. The electric scooter will be easier to park since the parking area is only 0.25 square meter without the worry of parking as automobiles. Therefore Airwheel A3 is more suitable for travelers to travel around. Assume traveling by Airwheel A3 freely while coming across the beautiful natural scenery, riders can stop and park Airwheel A3 at once to enjoy the scenery. Riders may feel bored on the way to travel around, how about listening to music to relax themselves? Airwheel two-wheeled self-balancing electric scooter A3 is designed with built-in sound system. The sound can guarantee the tone quality of music which can keep the joy of enjoying music. Besides, the sound can be connected with the cell phone by Bluetooth so riders can enjoy music of their cell phones. Riding on the road with music is the most enjoyable way to relax and travel around. If the riders are attracted by this new model and cannot help traveling around by Airwheel A3 right now, why not buy it to enjoy the journey?